In times of Exif metadata we are used too having all data of an image available. The Exif metadata not only give you information on f-stop, ISO and exposure time but also gives you information about the lens used for the shot and depending on your camera or external equipment GPS data are recorded too. But there a lot of manuall lenses like M42 which don’t supply the electronical contacts and therefor are not able to supply any data. to the camera. 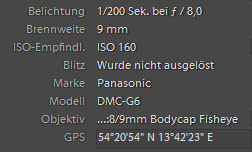 Using such lenses the Exif data of an image will much like the screenshot, where lensname, f-stop and focal length are missing. But also a couple of lenses from third-party manufacturers will only supply the focal length range, but not the correct lens name. For instance my Tamron 2.8/28-75mm only supplies the focal length range, allthough all important data are supplied. At this point the Lenstagger plugin for Lightroom comes in very handy. The plugin is offered free of charge by the developer. 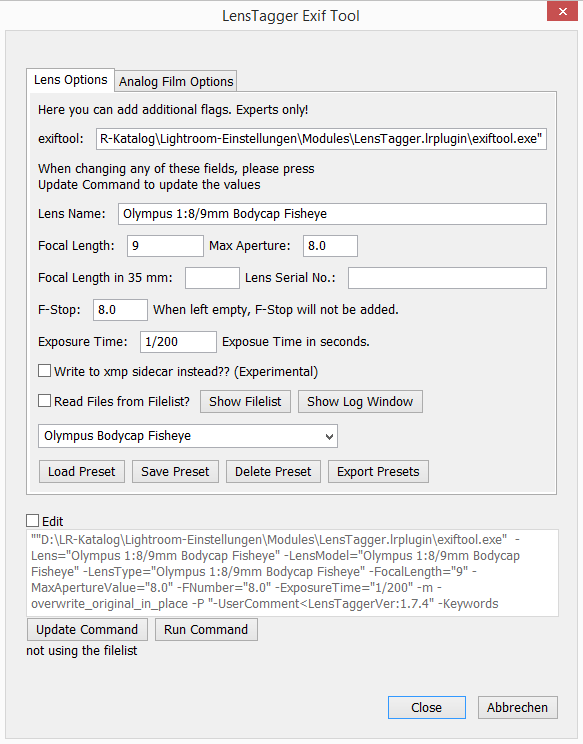 You can define presets for different lenses which supply the missing data like f-stop, focal lenght or lens name. 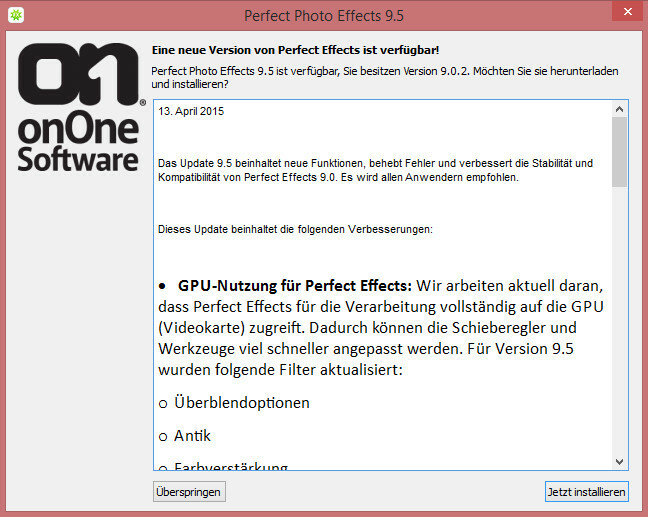 The mssing data are written to the image file with Exiftool and are updated in Lightroom. Defining such a preset for the Olympus body cap fisheye lens you can tag all images taken with this lens and Lightroom will show the correct data afterwards. The allready mentioned Tamron 2.8/28-75mm where only the correct lens name is missing, defining the preset you don’t fill f-stop and exposure time, because these data are allready part of the Exif metadata. 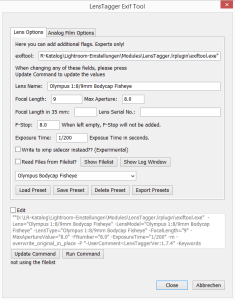 Tagging your images with teh correct focal length will help you searching the database. The plugin calls its full potential applying data to images which are digitized from slides or film material. You can apply informations about the scanner, film material and other data to Lightroom. Too me the plugin is great for this purpose, because it helps to keep your database up to date, even using manuall or adapted lenses. What do you think about this plugin, usefull or not that necessary? Leave your comments and your questions.